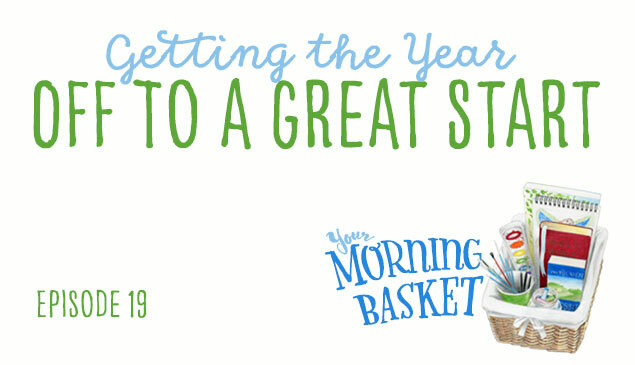 We’re starting off a new season of Your Morning Basket with an episode all about planning and preparing for Morning Time. 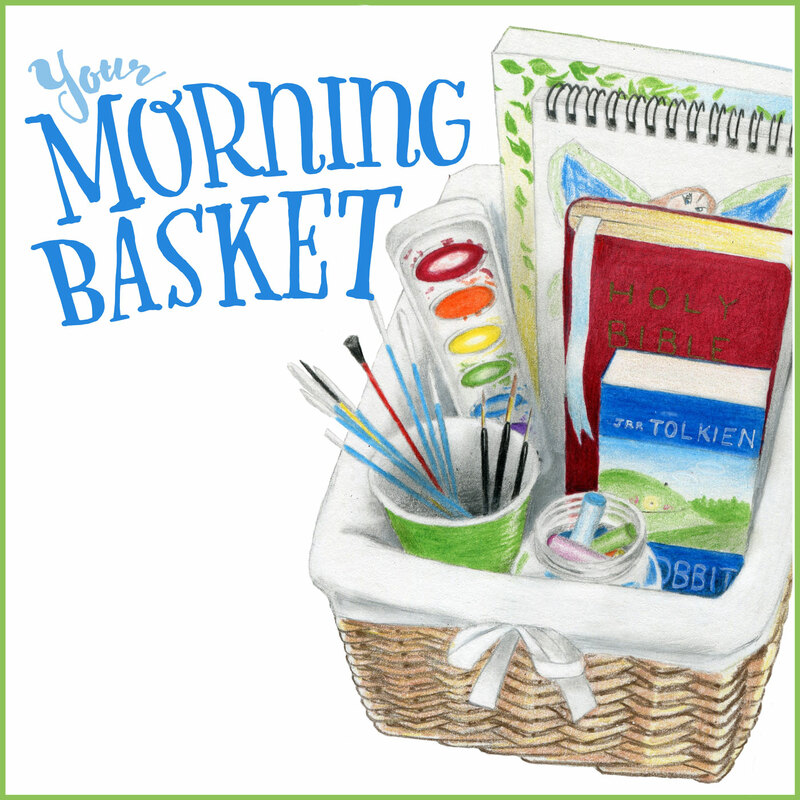 Pam and her good friend Dawn Garrett, who is the coordinator for the Your Morning Basket online community, discuss everything from the first ingredient of a solid Morning Time plan to how to pull ourselves out of those Morning Time slumps. 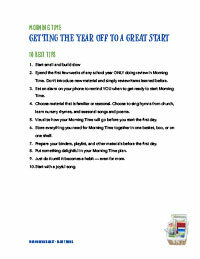 Whether you are brand new to Morning Time this year or a seasoned vet looking for a little inspiration, enjoy! Click here to get the Basket Bonus for episode 24, Getting the Year Off to a Great Start. So, when you are learning the hymns, are y’all just singing them a cappella? Or are you listening to something? I can’t read music, so a little concerned about keeping the tune, etc. Jen, I can’t carry a tune in a bucket so I use CDs on my mp3 player or YouTube videos on my mobile device. Some of my favorite CDs are Hymns for a Kids Heart series, Hymns for Kith and Kin, and Listen While We Sing. HTH! I’m intrigued by your iTunes playlists. What do have on them? Would you mind posting some sample lists? I’d also love a demo on how you use the Amazon gadgets – the Amazon Alexa and Amazon Tap. Maybe a FaceBook Live recording? I use YouTube a lot through my phone. Would these gadgets be easier to use than pulling my playlists up from YouTube? I record memory work for my children on the iPad with an app called Educreations (www.educreations.com.) I use it mostly for poetry and catechism memory work. There’s even a white board on the app so I can write or draw illustrations as I’m recording. My silly illustrations provide visuals for my children and their memory work locks in much quicker. I’m with Susan. In fact, I think that would make a great follow-up podcast— how you use technology in your morning time!! You know I love my Echo, but now I’m coveting the Tap! I would love to hear more about how you use the Amazon tech and recorded playlist and readings, along with a how to. ?